Be Lippie Chic with this satiny smooth formula. Light and sheer at first, yet buildable the more you apply. Never needs a sharpener, the portable package propels and repels for ease of use and no product is wasted. A makeup bag must have! >What it is: A sheer tinted, lightweight lip balm with a satin finish. 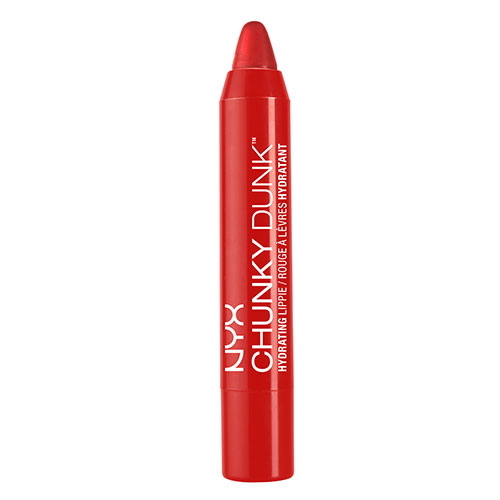 >What it does: Creates a satiny sheer wash of hydrating color that is buildable on the lips. >Why we love it: Can be layered for light to medium coverage. >How to use: Apply directly on bare lips or over lip liner for more pigmentation. INGREDIENTS: Diisostearyl Malate, Bis-Digylceryl Polyacyladipade-2, Pentaerythrityl Tetraisostearate, Euphorbia Cerifera (Candelilla) Wax/Candelilla Cera/Cire de Candelilla, Polyglyceryl-3 Diisostearate, Helianthus Annuus (Sunflower) Seed Oil, Trimethylsiloxyphenyl Dimethicone, Mineral Oil/Paraffinum Liquidum/ Huile Minérale, Polybutene, Polyethylene, Jojoba Esters, Copernicia Cerifera (Carnauba) Wax/Copernicia Cerifera Cera/Cire de Carnauba, Ceresin, Tocopheryl Acetate, Microcrystalline Wax/Cera Microcristallina /Cire Microcristalline, BHA. MAY CONTAIN/PEUT CONTENIR (+/-): Mica, Titanium Dioxide, Iron Oxides (CI 77491, 77492, 77499), Red 6 (CI 15850), Red 7 (CI 15850), Red 28 Lake (CI 45410), Yellow 5 Lake (CI 19140), Blue 1 Lake (CI 42090).